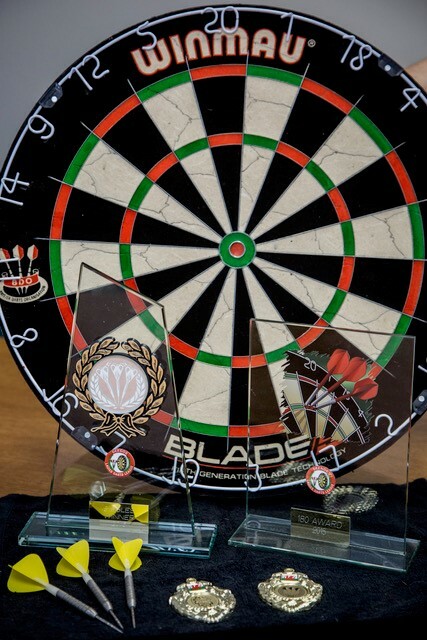 A North Wales darts champ is on target for more success thanks to the delivery company for which she works. Claire Maddock is accounts administrator with Deeside-based delivery firm Delsol by day – and in the evening she turns into an arrows ace, sponsored by the courier company. The 34-year-old from Connah’s Quay was introduced to the sport by her mum Julie and was instantly hooked, despite initially saying it was just a game for old men. Claire now represents Clwyd at contests around the UK, although she still turns out for the club where she first played, The Groves Sports and Social Club in Shotton. 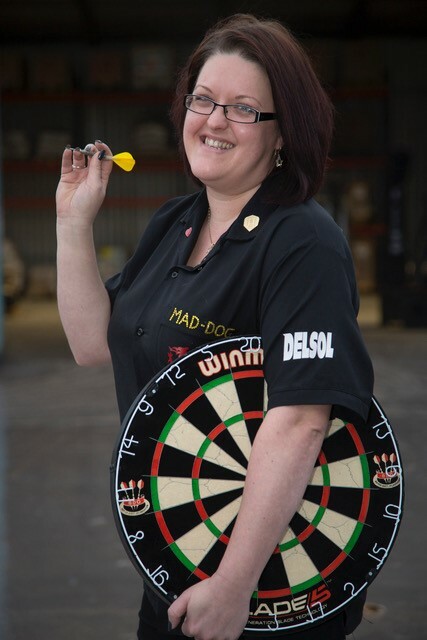 Nick-named Mad Dog by both her team-mates and her opponents, Claire proudly sports the Delsol logo on her shirt as she stands at the oche at her home club, Penyffordd’s Royal British Legion. Delsol, which was founded by Simon Walker and Tony Parry, employs 125 staff, and offers same day, overnight and international delivery and collection services. The company’s couriers deliver items around the UK and across the globe to retail, commercial, industrial and private addresses, for large companies through to small enterprises and personal customers. Claire, who is mum of Rebecca, 14, grew up in Shotton and went to John Summers High School before working in different offices, and joined Delsol seven years ago. 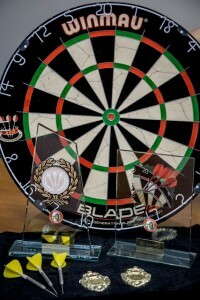 She said: “I am very proud that Delsol sponsors me in my darts playing, which takes me all over the country at weekends. Tony and Simon have been very supportive and always celebrate my success. “Delsol is on my shirt and it’s a name that often recognised by people in other teams, because they’ve seen our vans and lorries on the roads. “I think I must be a numbers person, as I find it easy to work out what I need to win. Perhaps it because I spend a lot of time with numbers when I’m at work, in the accounts team and I’m good at mental arithmetic. Claire is also secretary of the Clwyd county team, which competes in Division Four of the British Inter County Championships (BICC), with fixtures from September to May. Clwyd is presently topping the table, with a clutch of points ahead of rivals Norfolk and Wiltshire, leading to hopes the team will be promoted at the end of the season. Claire said: “Darts is a very social sport, I have made a lot of great friends through playing it. It’s a sport that is open to everybody – our youngest player is 18 and the oldest 60-plus. “I only started playing nine years ago, when my mum asked to come along to a game with her and my aunt Judith Austin – initially I refused, saying it was just a game for old men. However, I tried it and realised that I enjoyed it and I’ve continued to play ever since. “I’ve been playing for Clwyd for about six years, and I’m in the A team. It means we travel all over the country for the away games – for example, I’m just back from a trip to the Isle of Wight. Delsol co-managing director Tony Parry said: “Claire is a great member of our team, and it is obvious that she really enjoys playing darts – and is very good at it. “We’re proud to support our local community, and we are happy to offer sponsorship to enable her and the Clwyd county team to play.